The VA loan program is available to military borrowers nationwide. Guaranteed by the U.S. Department of Veteran Affairs, VA loans work in a similar fashion as FHA loans — the VA is a guarantor of loans not a maker of them. In general, active duty and honorably discharged service personnel are eligible for the VA program. Public Health Servants are also eligible. In addition, home buyers who have spent at least 6 years in the Reserves or National Guard are eligible, as are spouses of service members killed in the line of duty. Bankruptcy and other derogatory credit do not immediately disqualify a buyer. If you have had a foreclosure or short sale, the waiting period to obtain a new mortgage is generally 2 years. Funding fees are collected at closing, but no monthly premiums are required. If you have been discharged with a disability, you may be exempt from the VA funding fee. There is no down payment required and a VA buyer can use his/her entitlement more than once and possibly even get a 100% loan if a home is currently owned and has a VA loan on it. Check with your lender about the circumstances pertaining to your situation. The first time use charge of the VA funding fee is 2.15% of the loan amount. Subsequent use fee is 3.3% of loan amount. The lender will finance the fee into your loan. It is the only closing cost than can be directly financed into the mortgage. A seller can also pay all closing costs for a VA buyer. And, similar to FHA loans, VA loans allow for loan sizes of up to $729,750 in high-cost areas. This can be helpful in areas such as San Diego, California; and Honolulu, Hawaii which are home to U.S. military bases. 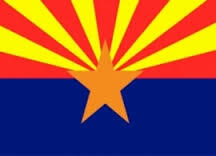 Additionally, in the Phoenix area veterans and active duty servicemen and women may qualify for the Home In 5 program which is a grant for up to 6% of their loan amount to put towards a down payment and closing costs. For more information or to make comments, please feel free to contact Ingrid Quinn by email Ingrid.quinn@cobaltmortgage.com or visit my websites http://www.scottsdalemortgageexpert.com or http://www.cobaltmortgage.com/ingridquinn. Categories: Uncategorized | Tags: va, VA loans | Permalink. Will Technology Replace Realtors & LOs? Though many homebuyers start their home purchase process on the internet, do you really believe the whole transaction will or can be completed on a computer? I guess we may be there in some cases, but for most folks purchasing a home is the largest personal purchase that they may make. A Ferrari or Lamborghini may be more but would you buy one without driving one first? Most people want to walk into the home they are considering purchasing. There is something to be said about the “feel” of a home. The “smell” of the home may be equally important. Are you near a farm or business that if the wind blew a certain way you would be affected? I think it highly unlikely that Realtors will be replaced by technology. Technology has made the process easier though with e-signing contracts and presenting offers, though what happened to the good old days when a buyer’s agent could present an offer to a seller personally on their client’s behalf? 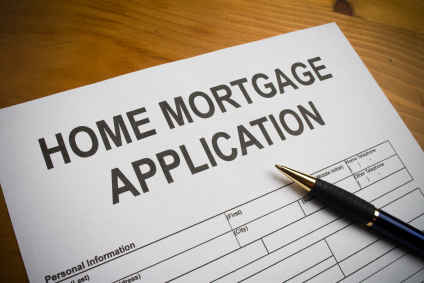 As far as the mortgage process, applications submitted online could be a whole different story. I do not feel that a computer can do my job 100%. Getting a loan for a client is not just about getting the loan. It’s about the service that I provide to the client. There is a relationship and trust established. In a matter of minutes, I know quite a lot about that borrower. Not everyone has a deal that will just sail through an automated system. Especially today in the mortgage market, it is important to have a partner who will navigate you through the lending process from start to finish. Not everyone who begins a prequalification process will be eligible to buy today. They need help with credit issues, saving money or whittling down debt to qualify for a home mortgage. It is important to find a knowledgeable lender who will work with you and stick with you through the process. While the internet has been a great educational tool and a good place to start, the human experience is important in a real estate transaction. Don’t you agree? For questions or comments, please respond here or contact me Ingrid.quinn@cobaltmortgage.com or visit http://www.cobaltmortgage.com/ingridquinn or http://www.scottsdalemortgageexpert.com. Categories: Market, Uncategorized | Permalink. One of the most exciting events in the state, Arizona Bike Week Cyclefest, returns to Scottsdale this year on April 2 and continues through April 6. 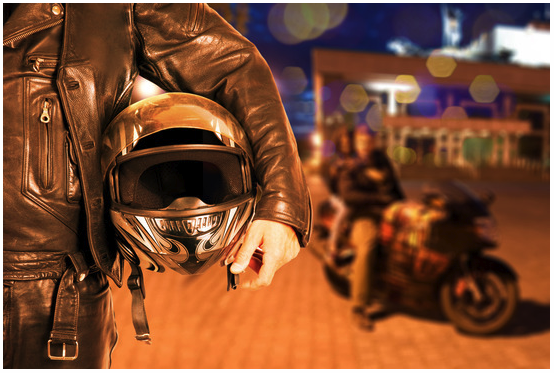 Organizers are expecting nearly 60,000 people to attend the sensational gathering, and all motorcycle enthusiasts are encouraged to ride into town and stay at one of the fine local hotels, such as the Best Western Plus Scottsdale Thunderbird Suites. 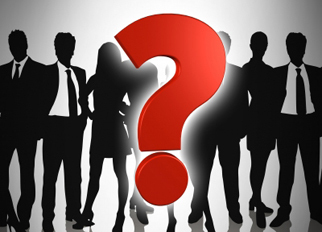 Purchasing a Home – Who are the people involved and why? Have you heard the phrase, “it takes a village”? The meaning of the proverb ‘it takes a village to raise a child’ is simply that. It takes more than one person to teach a child the ways of life. I get the same type of feeling when a homebuyer, whether seasoned or a first-timer, is purchasing a home. The transaction is not a success unless the team of people involved work together towards a successful outcome. Below is an introduction to all of the people involved in the wonderful world of the real estate transaction. The buyer’s agent is a real estate agent or Realtor who represents the buyer when purchasing a home. This typically involves searching for properties, preparing a contract to present to a property seller, acting on a buyer’s behalf and generally acting in the buyer’s best interest. Home shoppers and buyer’s agents may or may not have an actual signed agreement in place for exclusive representation. The listing or seller’s agent represents the other party involved in the transaction, the seller. In a typical home sale, the seller enters into a listing contract with a real estate agent for the exclusive right to sell the property. Among the responsibilities of a seller’s agent are marketing a property, negotiating the contract on the seller’s behalf, advising a seller on pricing the home effectively, arranging access to the property for prospective buyers and generally acting in the seller’s best interest. The loan officer is usually a buyer’s first point of contact with a mortgage lender or broker. Loan officers are also known as loan originators, mortgage bankers, mortgage brokers, lenders, or a mortgage consultant. They are responsible for assessing each buyer’s credit profile, advising buyers on program and rate availability, gathering initial supporting documentation and generally helping buyers through the mortgage process. The loan officer is basically in charge of making sure a mortgage has a high probability of approval before moving it forward. Once a loan officer has gathered the initial documentation from a borrower and determined that the loan should proceed to the next step in the process, he/she sends the loan to a mortgage processor. The mortgage processor does much of the behind the scenes work on a mortgage application. They are in charge of gathering further documentation, verifying employment and income, gathering asset information, coordinating with title and homeowner’s insurance agents and generally moving the loan along in the process. The underwriter is in charge of making the official decision on a loan file for a lender. The mortgage processor will move the file into underwriting once much of the behind the scenes work is completed. At this point, an underwriter reviews the file and approves, suspends or declines it. If the file is approved, it is typically a conditional approval. This means that the file is temporarily approved, but needs some items addressed and is fully approved as soon as the underwriter’s conditions are satisfied. Most files that reach the underwriting phase are conditionally approved. If a file is suspended, it simply means the underwriter requires more info to make an official decision. If the file is declined, that is typically the end of the line and the borrower will likely have to wait to reapply until the reason for the decline has been addressed. The appraiser is in charge of providing a value estimate on a home. For residential homes, this figure is typically arrived at by inspecting and measuring the property and comparing it to recent similar home sales. Recent similar home sales are commonly referred to as comps or sales comps (comparables). A few days after inspecting the home, the appraiser provides a report to the lender, who then provides it to the borrower. If the value appears accurate and the appraisal was properly done, the process moves forward without change. If the value is low, the borrower may renegotiate with the seller or walk away from the purchase entirely. The homeowner’s insurance agent provides the buyer with insurance on the new property. The agent is chosen by the buyer and works closely with the lender, usually the mortgage processor directly, to provide sufficient coverage against a loss on the property. Buyers may choose to have more coverage than the lender requires as long as the lender’s minimum requirements are met. It is worth noting that a separate flood insurance policy may be required in certain areas determined as flood zones. This policy may be obtained from the same agent or another agent entirely. Title agent is a broad term because there are multiple persons involved in the title, escrow or closing part of the purchase transaction. You may hear terms like escrow officer, closing agent, notary, title agent, etc. This can vary depending on where you are located and which company you use. Essentially, the title agent is in charge of ensuring the home has a clear chain of title and covering the lender and/or buyer against any title claims that may arise after closing. The title agent may or may not be the same as the escrow or closing agent, who is in charge of balancing all of the final figures, carrying out the actual signing and closing and distributing funds to the necessary parties. I hope this information is helpful in understanding all the folks involved in what is for most people the most expensive and important transaction in their personal life. For questions or comments, please contact me at Ingrid.quinn@cobaltmortgage.com or visit my website http://www.cobaltmortgage.com/ingridquinn or http://www.scottsdalemortgageexpert.com. 1. Your loan officer will discuss the Final Loan Approval with and you and the borrower. We’ll confirm that the terms meet your borrower’s expectations and any significant changes will be discussed with them in advance of closing. Since a surprise payment or interest rate may affect the closing, we’ll determine if there are other conditions due at signing/closing that haven’t been discussed yet such as needing a more recent paystub. 2. Cobalt Mortgage will prepare and review the completed fee sheet/funding request prior to drawing docs. If any new terms have been negotiated, please confirm that we have any additional addendums and current numbers. We will communicate our turn around time for drawing documents to reach our goal for the docs arriving in advance of scheduled signing/closing dates. 3. We’ll verify the borrower’s interest rate lock is good through the day of funding and confirm the closing date prior to locking the rate. If an extension is required due to a change in the closing date, please confirm that it will not affect your client’s lock-in term. 4. Communicate with your lender that you would like to have a copy of the settlement statement/HUD prior to signing/closing. Occasionally, charges may still show for a termite report or a title policy discount that were not applied or a broker premium may have been inadvertently omitted. This is a great time to get those corrections done early so your client can review accurate figures at signing. 5. The lender’s closing instructions will go to the title company. Your loan officer will review these and tell you exactly what the lender requires to fund your client’s loan. A good lender will make sure these things are being done. Have there been things you have missed that could have been avoided? Stay connected through the entire process and your transaction should go smoothly. For questions or comments please email Ingrid.quinn@cobaltmortgage.com or visit http://www.cobaltmortgage.com/ingridquinn or http://www.scottsdalemortgageexpert.com.